An Odyssey of Reform Initiatives: The Back Story | Frank G. Splitt - Future Vectors, Inc.
Frank G. Splitt - Future Vectors, Inc. The book provides readers and researchers with case-study material about the difficulties associated with changing the order of things in college athletics and beyond. This review updates the list of colleges and universities that have accepted the book for their library collections. 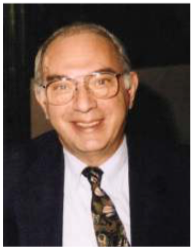 Frank Splitt’s book, titled An Odyssey of Reform Initiatives, 1986-2015: From Engineering, K-12 and Higher: Education to the Environment, National Information Infrastructure, and Collegiate Athletics, (FutureVectors, Inc, 2015), is a collection of his writings and speeches covering a period of thirty years. It is expected to provide readers and researchers with case-study material as well as insights into the difficulties associated with changing the order of things in each of the areas specified in the book’s title. According to Splitt, the Odyssey was first cataloged by the Plum Lake Public Library in Sayner, Wisconsin where it was linked to Wisconsin’s Merlin Catalog System. Thereafter, he created a CD that contains a PDF of the entire book as well as PDFs of each of its 15 parts and front end (Testimonials, Dedication, Table of Contents, Forewords, and Introduction). Splitt notes that distribution of the book and CD has been restricted to gifting to public and university libraries as well as to selected individuals in the academy. However, he believes that the provision of free online access to on Engineering Education Reform, K-12 and Higher Education Reform, as well the material in the Odyssey book will facilitate research as provide historical insights into concerns about our environment, the evolution of US Information Infrastructure, and Collegiate Athletics Reform. The book features an impressive set of testimonials from Derek C. Bok, Stanton R. Cook, James J. Duderstadt, Jon L. Ericson, John R. Gerdy, John H. (Jack) Gibbons, Theodore M. Hesburgh, Nick Infante, Stanley N. Katz, Michael Mangan, Irene Peden, Manijeh Razeghi, Carol Simpson Stern, John P. (Sonny) Vaccaro, and Mary Willingham. Descriptive book reviews written by John A. Prados and B. David Ridpath. [2, 3] were subsequently adapted to serve as the book’s forewords. Also appended is a link to a related Daily Herald story – a spinoff from Splitt’s book presentation at Loyola U-Chicago on November 9, 2016. Again, according to Splitt, the story was based on copy submitted by the Mount Prospect Public Library where the book was first linked to WorldCat. Benedictine U., U. of California-Berkeley, U. of Chicago, Clemson U., U. of Denver, DePaul U., Dominican U.-River Forest, Drake U., Drexel U., Edgewood College, Georgia Institute of Technology, U. of Illinois at Urbana-Champaign, Kansas U. at Lawrence, Lewis U., Loyola U.-Chicago, Luther College, Marquette U., U. of Michigan, North Central College, Montana State U., New Haven U., Northeastern U., Northern Arizona U., Northwestern U., U. of Notre Dame, Ohio U., Olivet Nazarene U., U. of Pennsylvania, Princeton U., Purdue U., Rutgers U., Saint Francis U., U. of South Carolina, U. of South Dakota, Stanford U., U. of Tennessee- Knoxville, Texas A&M U., Tuffs U., U.S. Military Academy at West Point, Viterbo U., Washington U. in St. Louis, U. of Washington, Western Carolina U., and the U. of Wisconsin- Madison. A copy of the book and the CD are now part of the Distinctive Collections at the Northwestern University Archives. 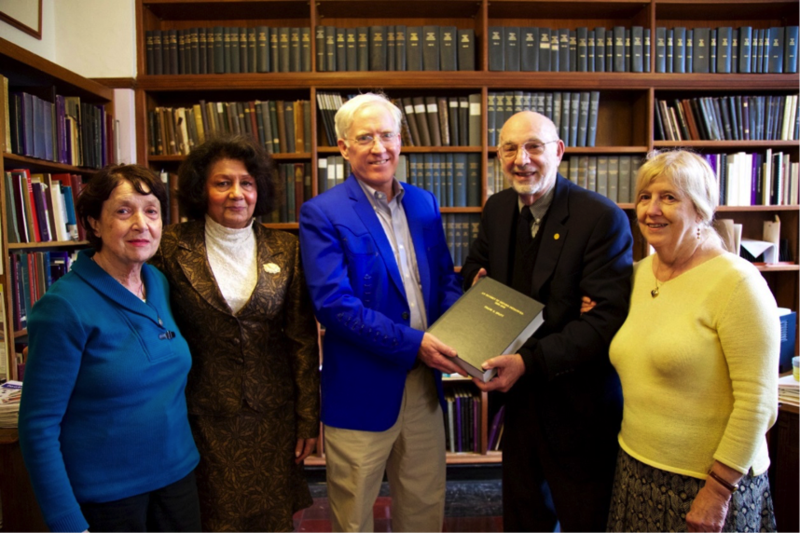 A related photo from the April 19, 2017, ceremony celebrating the presentation of the Odyssey book to the Northwestern University Libraries, pictures (left to right): Judy Splitt, Manijeh Razeghi, McCormick School Professor of Electrical Engineering and Computer Science and Director of the Center for Quantum Devices, Kevin Leonard, University Archivist, Frank Splitt, a former McCormick Faculty Fellow, and Carol Simpson Stern. School of Communications Professor of Performance Studies, a former dean of the Graduate School, and a past president of the American Association of University Professors. In his book review, John Prados concluded: "The Odyssey is destined to be a valuable reference for all those who have serious concerns about the future of education in America, and, as such, it would be a most worthy addition to public and university libraries.” Donald Kayser, a 1952 graduating classmate of Frank Splitt at the Fournier Institute of Technology that was founded by Arthur J. Schmitt, made the following comment after reviewing the online text of the Odyssey: " Let's hope the book might motivate some leaders in academia to reassess the objectives of education and the distraction by the monetary influence of athletics." It seems fitting that the book and CD are being made part of the Arthur J. Schmitt Foundation Archives at the John T. Richardson Library at DePaul University.